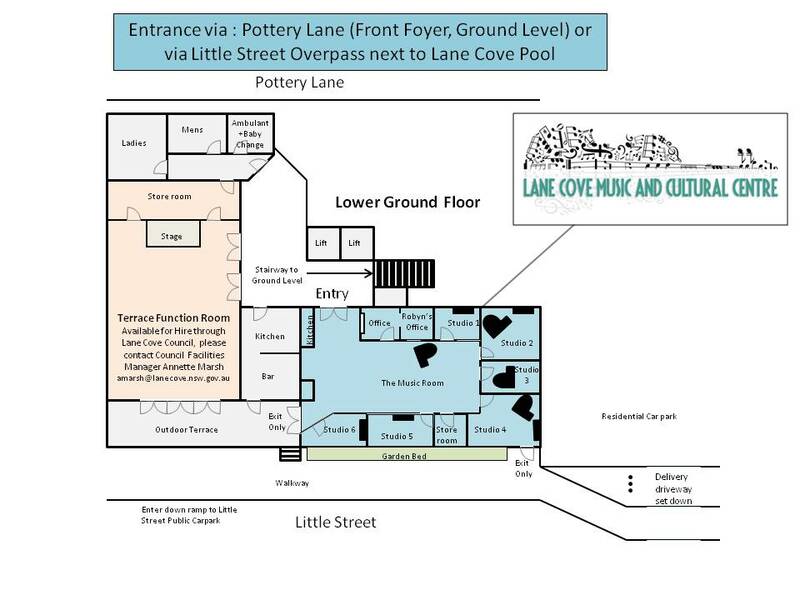 Floor plans for the new Lane Cove Music and Cultural Centre in Pottery Lane. We have six tuition studios which surround the performance area: the Music Room. 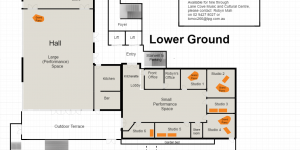 Arrangements can be made to rent the neighbouring Terrace Function Room from Lane Cove Council for larger concerts.